iHerb inventory is extremely fresh as we buy this product directly from Natural Factors every month. 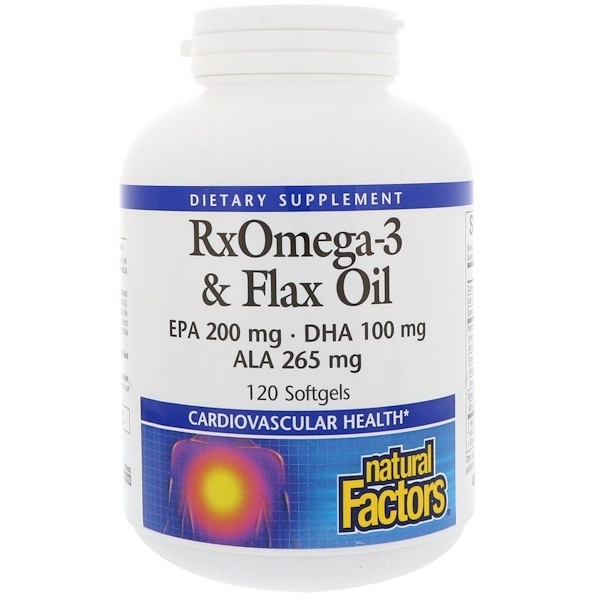 RxOmega-3 & Flax Oil contains RxOmega-3 pharmaceutical-grade fish oil and organic flaxseed oil, which, together, provide high potency omega-3 essential fatty acids, EPA, DHA and ALA. Molecularly distilled and guaranteed for purity and safety from environmental pollutants like PCBs and mercury or other harmful compounds, RxOmega-3 surpasses the strictest international standards for quality. 2 softgels provide 400 mg of EPA and 200 mg of DHA omega-3 fatty acids, as well as 530 mg of ALA. 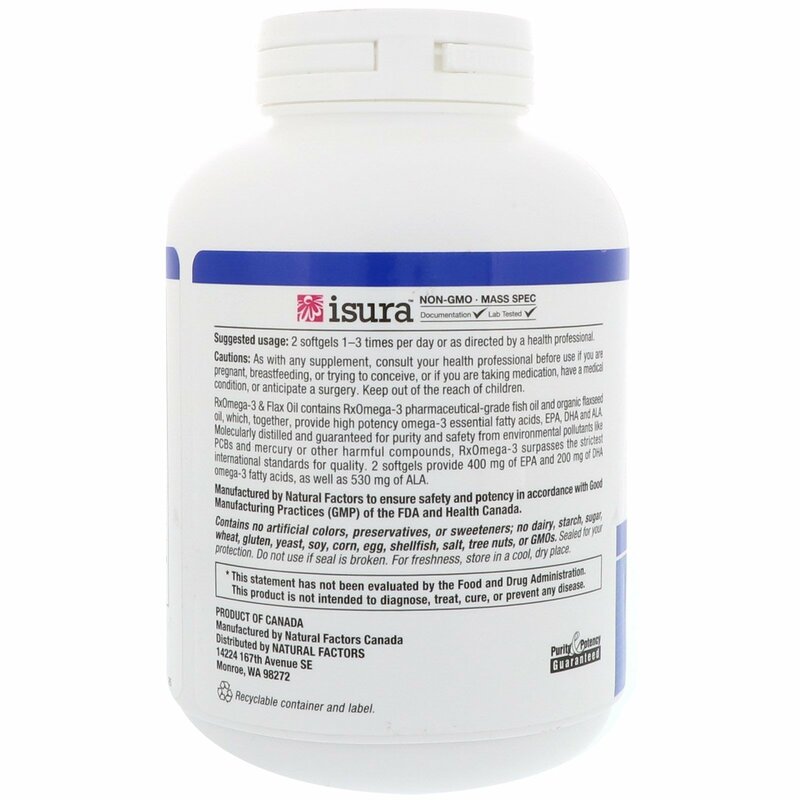 Manufactured by Natural Factors to ensure safety and potency in accordance with Good Manufacturing Practice (GMP) of the FDA and Health Canada. 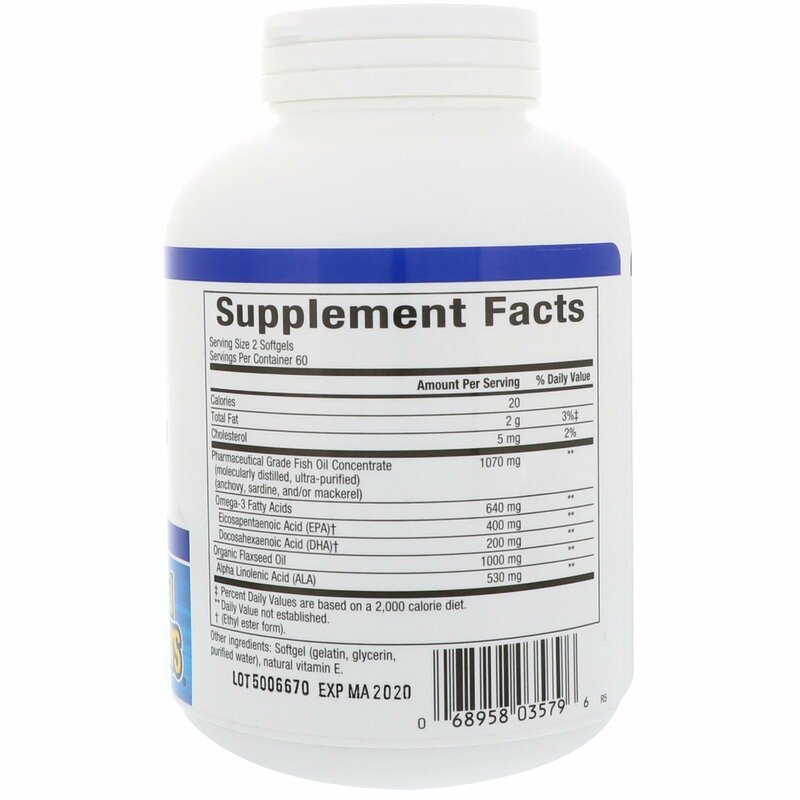 2 softgels 1-3 times per day or as directed by a health professional. Softgel (gelatin, glycerin, purified water), natural vitamin E.
Contains no artificial colors, preservatives, or sweeteners; no dairy, starch, sugar, wheat, gluten, yeast, soy, corn, egg, shellfish, salt, tree nuts, or GMOs. Caution: As with any supplement, consult your health professional before use if you are pregnant, breastfeeding or trying to conceive, or if you are taking medication, have a medical condition or anticipate a surgery. Keep out of the reach of children.